Supplier quality management software helps automate the process of tracking the cost of poor supplier quality. A well-made supplier quality software product will also provide ways of logging complaints, corrective actions taken, and several other related types of information. By using software to track supplier quality, managers can inject a measure of quantitative rigor into what is ordinarily an extremely haphazard field of analysis. Many businesses are keenly attuned to the quality of the actual product they receive from suppliers, but without software assistance, few are able to gauge the quality of the companies doing the supplying. Using supplier quality management software, it’s simple to keep a record not only of the quality of goods, but of their condition on arrival, their timeliness, and so on. 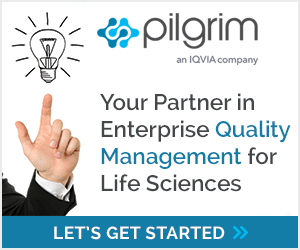 Pilgrim Software currently offers one of the most advanced suites of supplier quality management software in the industry. Please contact us for further information. Learn how you to implement a Risk-based Incoming Inspection Process and more.